“NBC Nightly News” got off to a bumpy start Monday, Sept. 17, 2018 due to multiple last-minute developming news stories — with ABC and CBS slightly ahead of the ball. Shortly before 6:30 p.m. eastern time, the Senate Judiciary Committee announced it would delay a vote on Brett Kavanaugh and hold additional hearings Monday featuring both Kavanaugh and Christine Blasey Ford, who is accusing the Supreme Court nominee of sexual assault while the two were in high school together. In Chicago, at least one local newscast reported the breaking news just before switching over to the network feed — and several news outlets posted updates on the story on Twitter shortly before 6:30 p.m.
To be fair to the team at “Nightly,” it’s not always about being “first” with a story — it’s more important to be right, and it’s not clear what editorial process the report went through behind the scenes, though we’ve reach out to NBC for comment. Senate Judiciary Committee Chairman Chuck Grassley announced the committee would hold a public hearing on Monday with Supreme Court nominee Brett Kavanaugh and Christine Blasey Ford, who has accused Kavanaugh of sexually assaulting her at a party when they were in high school. After a brief package on the tornados as the lead story, Holt came back on camera, saying “We’ll get to the catastrophic flooding and dramatic rescues in the Carolinas in just a moment,” abruptly switching gears to the Kavanaugh story. However, in correspondent Kristen Welker’s package, no reference was made to the hearing scheduled for next Monday. It’s also worth noting that the NBC News-controlled Twitter account @BreakingNews didn’t tweet the news until approximately 6:33 p.m. eastern, a few minutes behind most other posts. CBS and ABC, meanwhile, all reported that the hearing was scheduled near the top of their broadcasts. 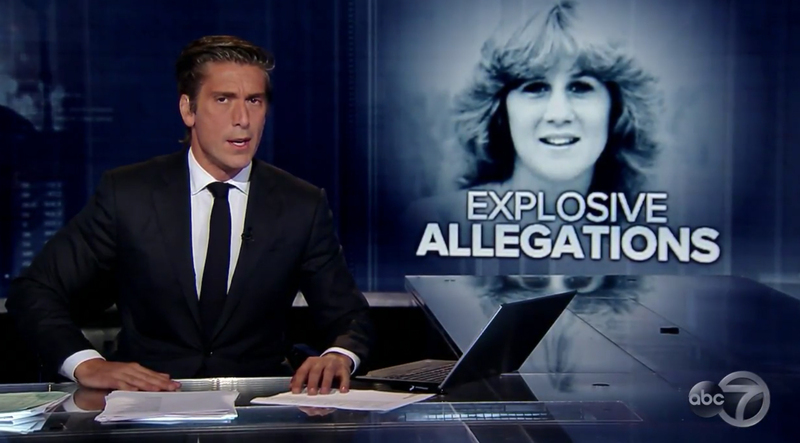 “ABC World News Tonight” first mentioned the newly scheduled hearing about two minutes into the broadcast. 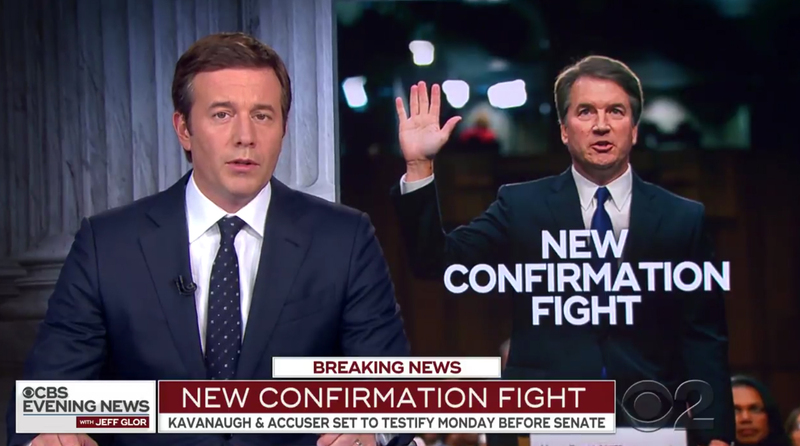 On the “CBS Evening News,” Jeff Glor referenced the hearing at about the same time. 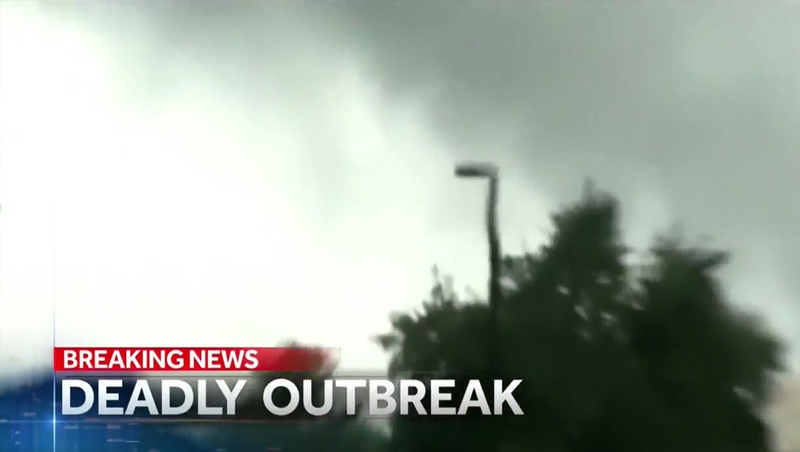 ABC and CBS covered the weather later in the broadcast.